Hi. Welcome to my site; my name is Karen. I'm an avid scrap-booker, card-maker, and paper-crafter. 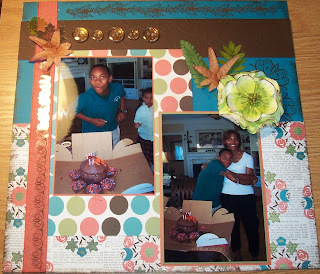 I have been scrapbooking for about 12 years and I am just as excited now as when I first started. 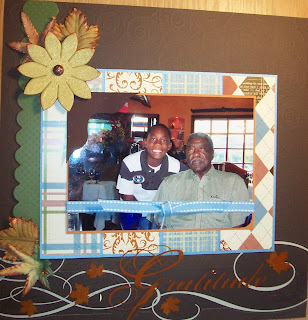 Scrapbooking is the instrument I use to record some of the greatest and most special moments of my family’s life. I love buying patterned paper, ribbon and embellishments, taking pictures of my son, teaching scrapbooking and hosting workshops. This hobby continues to be an obsession for me and it continues to challenge me to be a better scrapper. 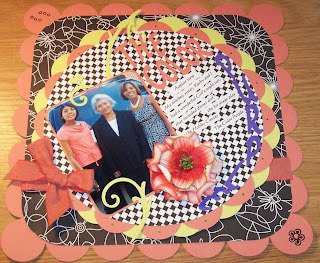 I love the escape that scrapbooking affords me and the fun it has brought into my world. 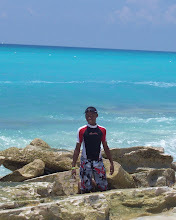 I have one child, a son; he's 15 years old and he is my favorite scrapbook subject. 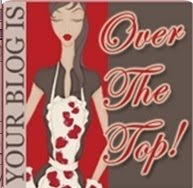 I hope that you enjoyed my site and will visit again soon. 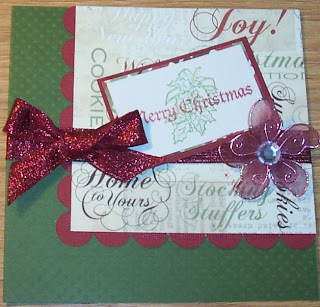 I taught another fun card making class this past Saturday. We made fall and Christmas cards. There was lots of catching up, laughter, fun and creativity flowing in the room. I thought I'd share some pictures from the class with you. Enjoy What is Sylvia looking for? Could it be the bows that we couldn't find? Is she hard at work, or what? No time for talking, gotta get those cards made. Lois had a day of scrapping; this was her second class of the day. Georgia let Sylvia in on a little surprise and I caught her with her mouth open; smile for the world-wide web. The incredible mother-daughter duo. Christina, thanks for hanging in there with us. I hope your dance instructor was understanding. Another mother-daughter duo. Card making is fun for all ages. How about that embossing? Looks pretty serious from here. Taking some time out to catch up. There are so many wonderful, new and fun products available; I've been playing with as many of them as I can. Last week I purchased a couple of Smoochs, a few bottles of Tattered Angels, lots of chipboard flowers and ink pads. I've been using them for layouts, cards and altered projects. I'm glad you all can't see my eyes; if you could see them, you'd think I haven't slept in days. To be honest, I haven't. But, who needs sleep, when there are so many fun products out there, waiting to be played with. Here are a few of the things I've been working on. As always TFSB. The pull-out card from the pocket has a birthday sentiment on it. 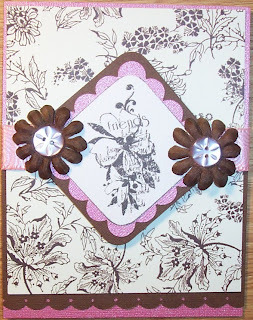 The chipboard flowers and kraft paper envelope were painted with Tattered Angels. I found this cute tin can at Archiver's and just had to alter it. 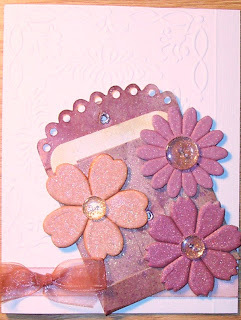 Did I mention I also ordered some stamps from Verve Stamps? Love them. 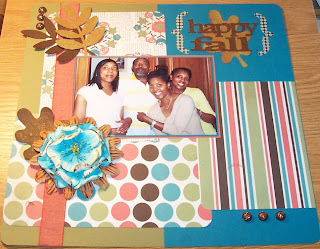 Fall is here and I made a couple of fun layouts for Sunday Night Layouts at By Design Scrapbook Boutique. Girls night out with my mother and sister. 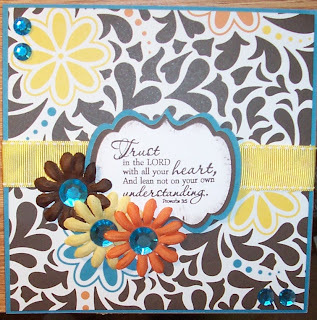 Don't you just love the Prima flowers? MyVerve stamps are getting plenty of use. 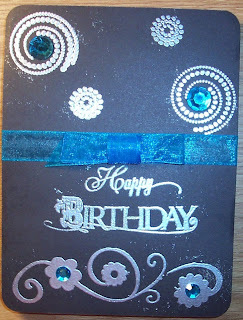 I was playing with the new Ranger embossing powder. Gratitude. That word expresses one of the emotions I feel when I see my son and my dad together. They have such a wonderful relationship. I have been trying to scrap this photo of them from Father's Day weekend 2008, for a while, but I just wasn't feeling it, until I saw this transparency that read Gratitude. Because the transparency has a fall theme, I thought I'd build the layout around it. 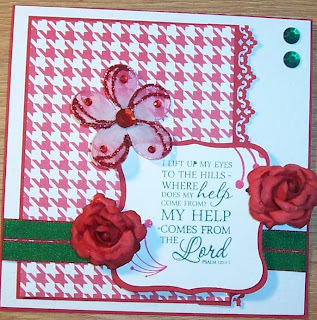 The big flower is a chipboard flower that I misted with Tattered Angels, then painted the edges with one of the new Smooch paints. I also painted the edges of the leaves. Gotta say that I love this new paint. The new fall papers are in and they are FABULOUS. The papers and rub-ons are from Vintage Poppy. Here's my first fall layout of the year. I have to let you in on a little secret; though the theme of the layout is fall, the pictures are actually from last spring. I love this picture of my son, with his friends and thought it would be perfect for the layout. I think it worked fine; we just won't tell anyone it's from the spring. Photos and artwork shown here are property of Karen’s Kreative Treasures (except where indicated). Use of my photos and/or artwork is for PERSONAL INSPIRATION ONLY and may not be copied for commercial advertising, challenges, contest submissions, publications or resale. Thank you for your cooperation. This is a WOW moment, just takes my breath away. 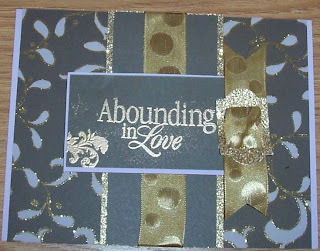 I love making cards and would love to make one for you. If you're interested in having a special card(s) made for a special occassion, send me an email at kelly_twymon@yahoo.com and let me know. I also do scrapbooking. If you're interested in having a scrapbook made to commemorate a special occassion or in having a keepsake made, please email me and I will send you my "Scrap for Hire" document. Thanks for looking and add me to your favorites, so that you can check back often. I will always be adding new designs. I look forward to hearing from you! Life is great and I take advantage of every moment.